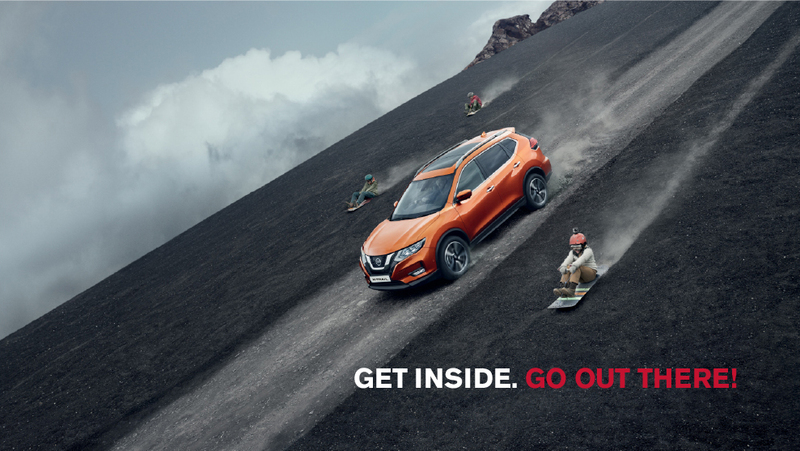 The Nissan X-trail's 3-row seating is perfect when you need to transport the team or bring extra friends along. The X-Trail's 50/50 split folding 3rd-row seat gives you added flexibility carrying passengers and their gear, and folds down to make a flat cargo floor for a maximum carrying space. With your comfort in mind, Nissan engineers designed an articulated front seat that supports you from the pelvis to the chest, along with seat cushions that flex in response to your unique pressure points. The result is exceptional comfort. 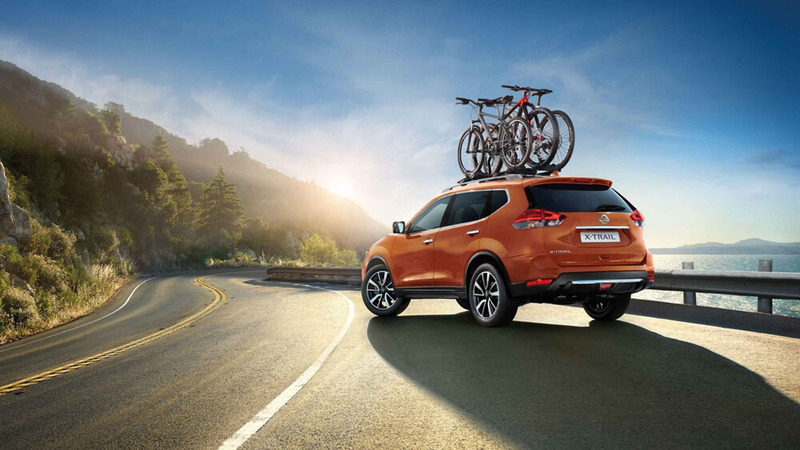 From a striking new front end to the muscular arches, along the flowing new character lines, and over the aerodynamic wraparound taillights, the Nissan X-Trail has been designed with aerodynamics in mind. Yhe X-Trail serves up a stylish first impression with its signature standard LED Daytime Running Lights. And with available, class-exclusive LED headlights flow into sculpted fenders to create an unmistakable presence. *LED headlights only available in LE models. More cosmic inspiration. Also with Power Panoramic Sunroof, all aboard have breath taking vistas of sky, stars, and maybe your next destination. *Only available on the LE versions. XTRONIC CVT. 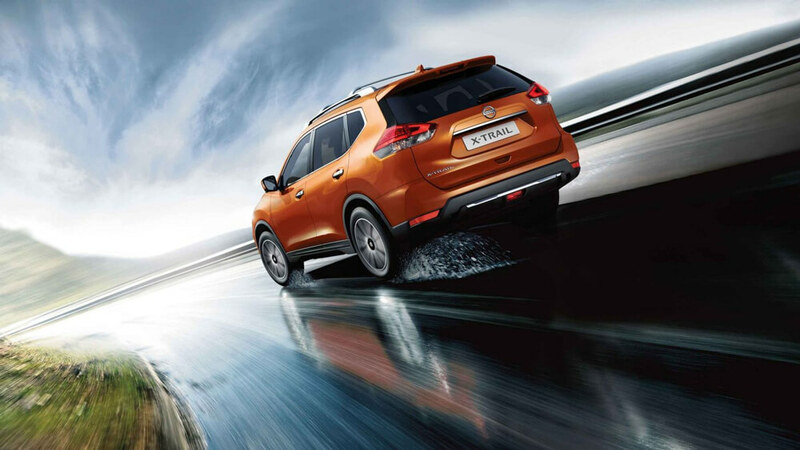 The Nissan X-Trail is fitted with Nissan's very latest version of Xtronic CVT, which reduces friction by up to 40% while improving acceleration at low speeds and improving highway fuel economy. 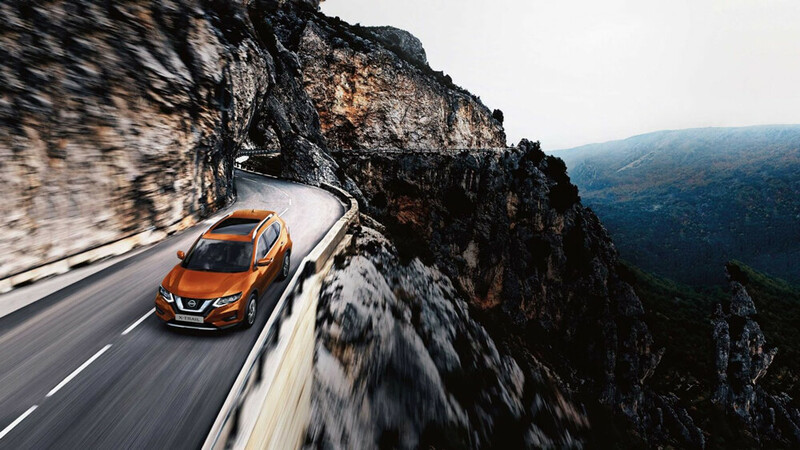 Whether you're slowing for a corner or coming to a stop, this system uses the CVT transmission to apply engine braking - much like shifting to lower gear in traditional transmissions - to help give the new Nissan X-trail a smoother deceleration and a more confident feel when braking. Dual front SRS air bags in the Nissan X-Trail are inflated in milliseconds and work with the seat belts to protect occupants during a frontal impact. All models also come standard with dual side and dual curtain air bags. If another vehicle is detected in your blind spot area, an indicator appears in the driver's or front passenger's doors and on the Advanced Drive-Assist Display. Put your turn signal on, and the indicator flashes with a warning chime to alert you. *Optional with Techno pack. 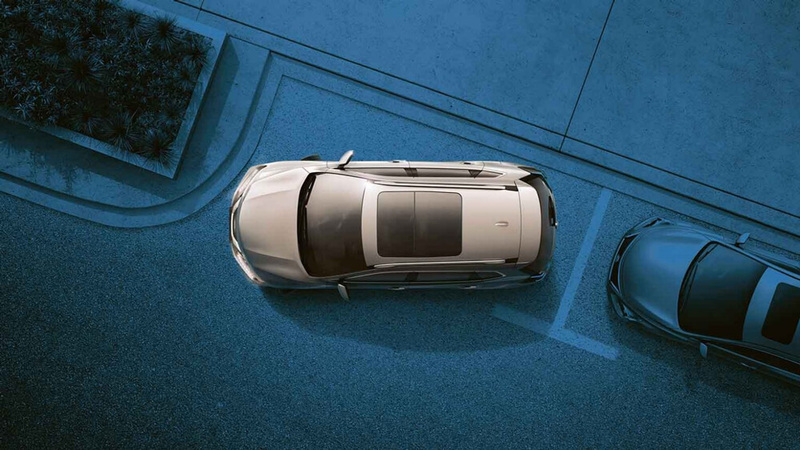 If X-Trail detects that you're straying from your lane, the Lane Departure Warning System is so smart, it's designed to stop the warnings whenever your turn signal is engaged. *Optional with Techno pack. and listen via the speakers. Keep in touch with your favourite people using the hands-free text messaging assistant. You'll get a read out on the X-Trail's touch screen and, even better, you can listen to the text.